February 16, 2016 – To the casual onlooker, the space between the stars is benign and quiet. However, this space — also called the interstellar medium – is, in fact, very active and contains the raw materials for future solar systems. In February the Colorado High-resolution Echelle Stellar Spectrograph, or CHESS, will fly on a NASA suborbital sounding rocket on its second flight in two years to study the atoms and molecules in the interstellar medium. “Our observations allow us to measure the composition, motion and temperature of this interstellar material in unprecedented detail,” said CHESS-2 principal investigator Kevin France at the University of Colorado, Boulder. CHESS was developed by Laboratory for Atmospheric and Space Physics with CU Boulder faculty, researchers, and students working in collaboration with NASA’s Wallops Flight Facility. Studying the interstellar medium allows investigators to look at two things. The first is to study where planets like Earth came from. “These studies allow us to take a snapshot of the raw materials available that were needed to develop planets such as carbon, nitrogen and oxygen,” France said. “High-resolution absorption line spectroscopy of the sightlines towards hot stars provides the richest set of diagnostics with which to simultaneously measure the temperature, composition, and velocity fields of the solar neighborhood,” France said. Using this information on the availability and behavior of materials in space will allow scientists to predict if planets will form with atmospheres dominated by water or carbon-monoxide, and so are friendly or hostile to life as we know it. 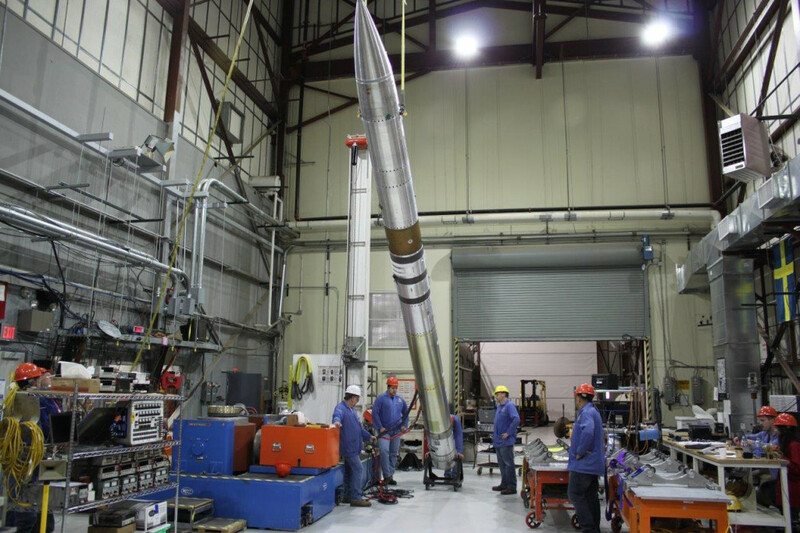 CHESS-2 is scheduled to launch at 9 p.m. MST (11 p.m. EST) on a 58-foot tall NASA Black Brant IX sounding rocket on February 21 from the White Sands Missile Range in New Mexico. The 1,090 pound payload carrying the telescope assembly is projected to fly to about 192 miles altitude. It will then descend via parachute and land at White Sands for recovery. The CHESS-2 team is made up of France, LASP research associate Brian Fleming, and LASP graduate students Keri Hoadley, Nicholas Nell, Robert Kane, and Nick Kruczek. CHESS-2 also serves as Keri Hoadley’s primary doctoral dissertation research. Several LASP undergraduates played important roles in the laboratory testing of the payload at the university’s Astrophysics Research Lab. CHESS-2 builds on the first flight of CHESS in May 2014. There are two primary upgrades to the spectrograph used in CHESS. The spectrograph consists of two diffraction gratings and one detector. The launch is supported through NASA’s Sounding Rocket Program at Wallops. NASA’s Heliophysics Division manages the sounding rocket program.